So having taken the decision to use old CDs to make a scarecrow I’ve now gone to the dusty and under-used CD shelf and made some tough decisions. Needless to say that S Club 7 (later in their career they would become just ‘S Club’) can now have all the sunshine they want as they have made the cut. Actually their CD is ideal as it shiny on one side, obviously, and white on the other. That places them very high indeed on the scary-meter. 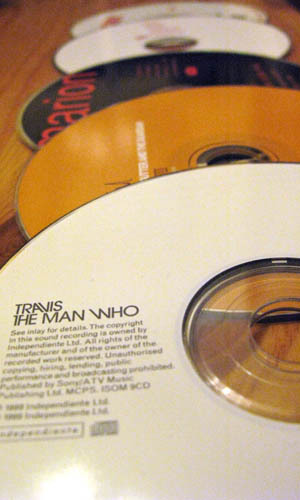 Actually I don’t need many CDs to construct my scarecrow so the rest are made up of Travis (did we buy this? both of us deny doing so), Moby (newspaper freebie), Fat Boy Slim (ditto), Marion (mid 90s Britpop wannabes), Hard-fi (why is this man shouting at me? ), Paolo Nutini (?? ), and The Good, The Bad and The Queen album which I have to say is awful and I hope I never have the misfortune to listen to again. Before the weekend I hope to start construction of said scarecrow. More to follow. 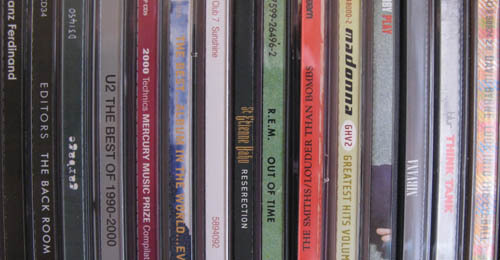 I need to make a scarecrow and judging by what I’ve seen elsewhere, the dangling of CDs seems to be a popular choice. So how do you make a CD scarecrow? Well the first stage would be selecting some CDs to dangle. Why waste money on blank CD-Roms when there’s a large collection of CDs in the house that we never play anymore (the ipod+dock has now replaced all that nonsense). I’m tempted to pick off the bad CDs first (we’ve got a Travis CD somewhere I think and a couple of Coldplay albums) but maybe I should just dive straight in, admit that we’ll never put a disk in a CD player again and put my Beck CDs out to seed. 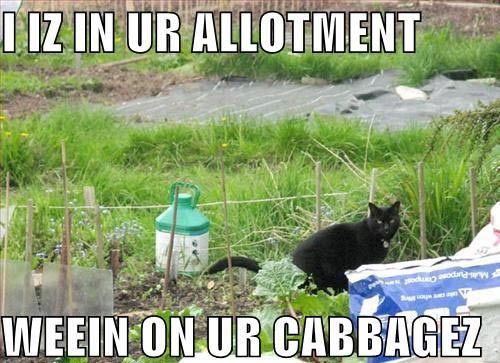 One thing that does occur to me is that I could try different artists in different sections of the allotment. Pulp by the runner beans and Sparklehorse by the carrots. Any views? Today I did lunch over at the Jewellery Quarter in Birmingham. Given how tricky it is to regain a parking space on the streets surrounding the Custard Factory once you’ve given it up ( I work on Bromley street), I decided to use the train. As I walked up to Moor Street it occurred to me that what the Custard Factory really needs to stop it having that ‘slightly too far from the centre of town’ feel is a train station. Okay so the station would only be 500 yards from the centre of Birmingham but imagine how convenient it would for the growing population of workers located at the Custard Factory and the many more who will follow once Devonshire works are complete as well as the new units on Fazeley street. As well as linking our two creative quarters by rail the killer reason for a Custard Factory station is the fact that at some point all the talk about reopening the line from Moseley/Kings Heath into Moor Street is bound to happen. 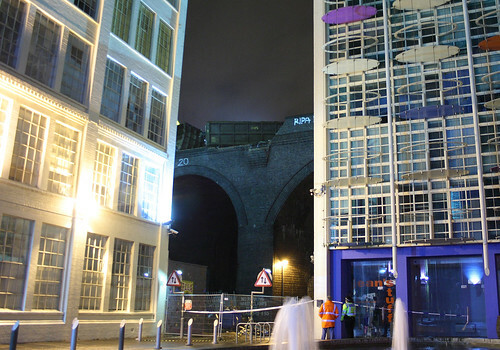 And where do all these creative types who work in the Custard Factory live? I rest my case.